Frank's Place was named in honor of a beloved manager and friend. 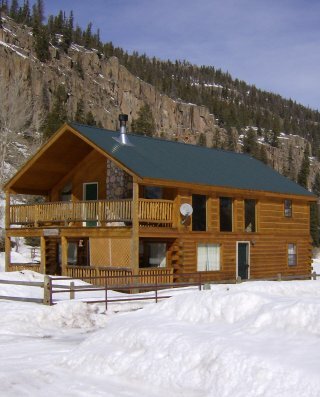 It is a two-story cabin. 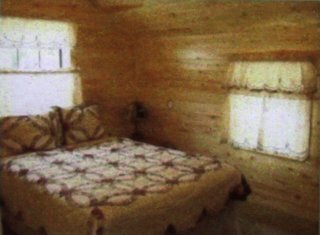 With five bedrooms with a queen bed in each and one double, it can sleep 12 people. There is a bath on each floor. The views from its living area windows are outstanding. 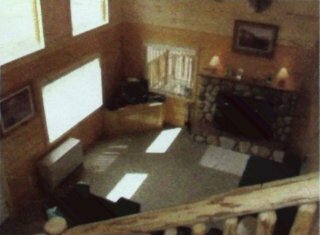 It has a large fireplace, leather couches, and the heating is electric baseboard. 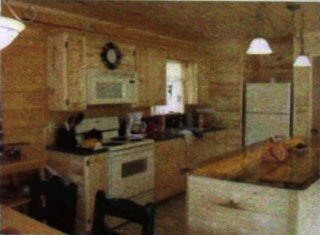 It has a modern kitchen, satellite TV/DVD, free WiFi internet connection, and upper deck with rocking chairs. Frank's Place also includes a propane grill on the lower deck. This has become a favorite with any who have stayed here.